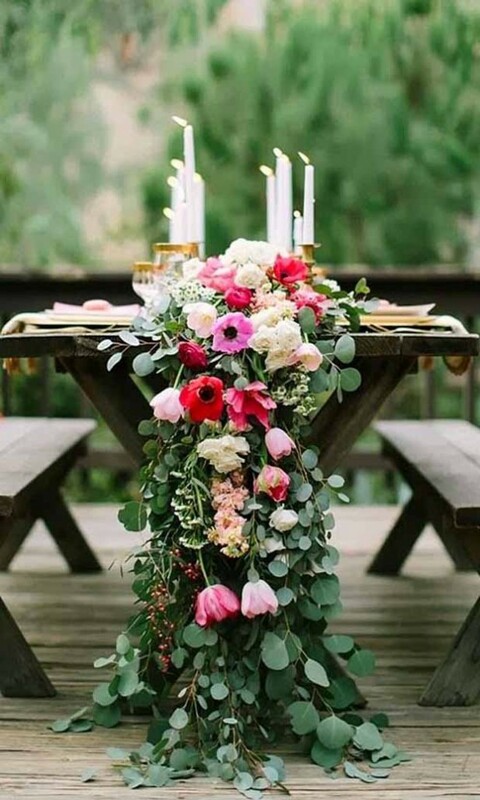 Your wedding ceremony and wedding venue options uncovered and explained by Kelly Chandler, Wedding Planner, The Bespoke Wedding Company. So you’ve partied hard, chinked more glasses of champagne than you can sensibly recall and flashed your left hand way too often in the direction of many a captive audience. Your engagement has been truly celebrated and before you’ve had a chance to regroup, the questions are coming at you think and fast. When is the wedding? Where is the wedding? Key to your being able to answer this question is finding THE venue or venues. 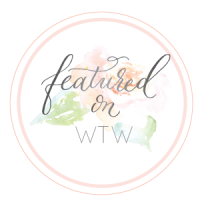 As a wedding planner who has helped over a hundred couples over more than a decade plan their big day from scratch I know how vital a decision this is and how time consuming it is – it’s almost as hard as finding “the one” in the first place! This post covers some of the pros and cons of different types of wedding ceremonies and venues out there. It’s general and of course no two venues are exactly the same but we hope this post gives you a bit of insider knowledge to get to your dream venue just that little bit faster. Some couples have a really clear idea of what they want – many brides, they’ve known for a long time where they envisage their fairytale and they have just the place locally to them, but for many more, things aren’t so clear; perhaps you’re far away from where you grew up, perhaps there isn’t an obvious style of wedding for you and perhaps you’ve got two different sets of beliefs, traditions and nationalities to take into account. Accounting for about two thirds of all weddings in England & Wales currently, it’s the popular option. Civil weddings are secular/non religious and involve some key declarations and vows but otherwise follow a similar standard format. Conducted by a Registrar, they can take place in many types of venue so long as it’s licensed.. from hotel, barn, museum, restaurant and more as well as a Register office itself. Civil ceremonies can’t be conducted outside in the open air or in a temporary marquee structure (the law states a need for a permanent roof!). You will find some gazebos/summer houses which are licensed which fit to this ruling however and allow an outdoor feel. Not all religions and beliefs have the legal right to conduct marriages, so many faiths provide a symbolic (but not legal) ceremony in their place of worship which needs to be preceded by a simple civil ceremony as above. Church of England churches (and some Catholic churches) are the only ones able to actually marry couples as well as Rabbis who are personally licensed to marry couples in the Jewish faith (Jewish weddings can take place outdoors too). Couples marrying for the first time are entitled to be married in their local parish church; marrying out of area without a personal connection to a particular church is a little more complicated; it is possible, but is at the discretion of the particular church/minister in charge and it is not a given. I’d strongly advise making early contact with the minister in charge of the church you’d like to marry in and finding out about this. 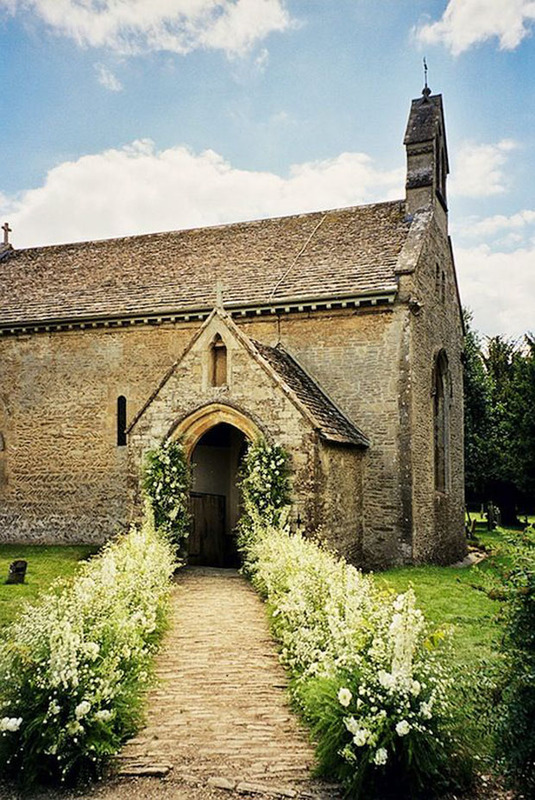 Understandably most churches want to see some form of regular commitment from a couple wanting to marry there, rather than a couple choosing the church purely on the basis of convenience, prettiness or location. You might feel that neither option makes your heart sing or fits your personal circumstances, particularly if you both have different backgrounds and religious beliefs or no religious beliefs. Some couples love the idea of designing a really personal and unique ceremony for themselves and there are endless options for this if the legal paperwork/ceremony can be done simply beforehand. If the ceremony is symbolic more than legal there are no rulings and you have total freedom. 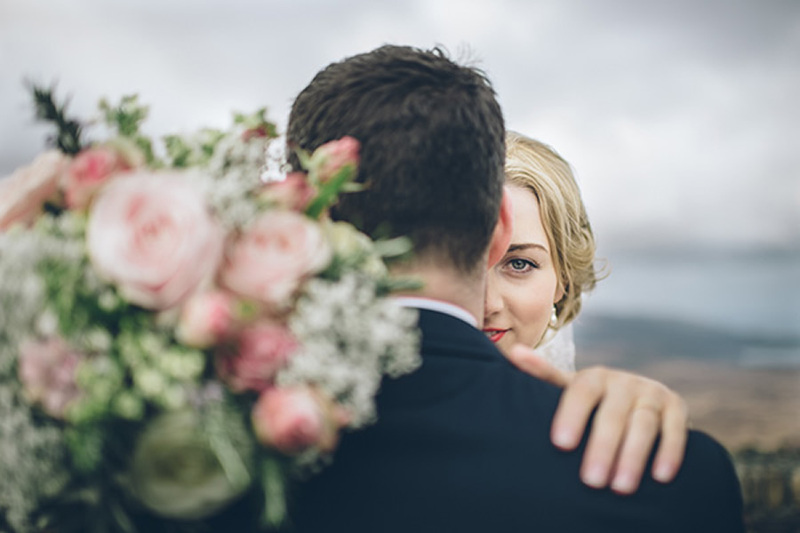 You might like to look at hiring an independent celebrant, a humanist celebrant, even an inter-faith celebrant if you have two religious backgrounds you might like to knit together in a really beautiful ceremony. There are lots of individuals and companies who specialise in this area and work with you to produce something special. The location can be entirely personal too – whether you want to have your symbolic ceremony at home in the garden, in a woodland setting, up a cliff or on a boat or anywhere your heart desires. 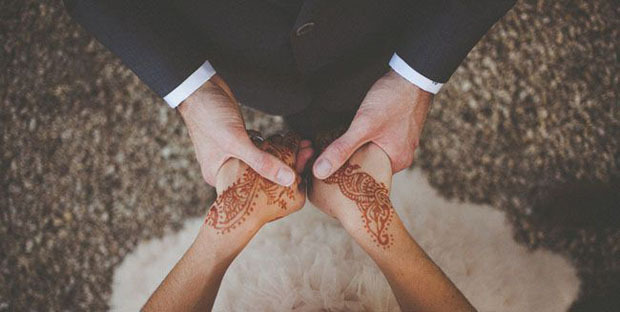 Very much hand in hand with your wedding ceremony is where you’re going to party afterwards (or in lots of cases, it could be all in one location). Most definitely your safe, tried and tested option and your effort level is up to you. 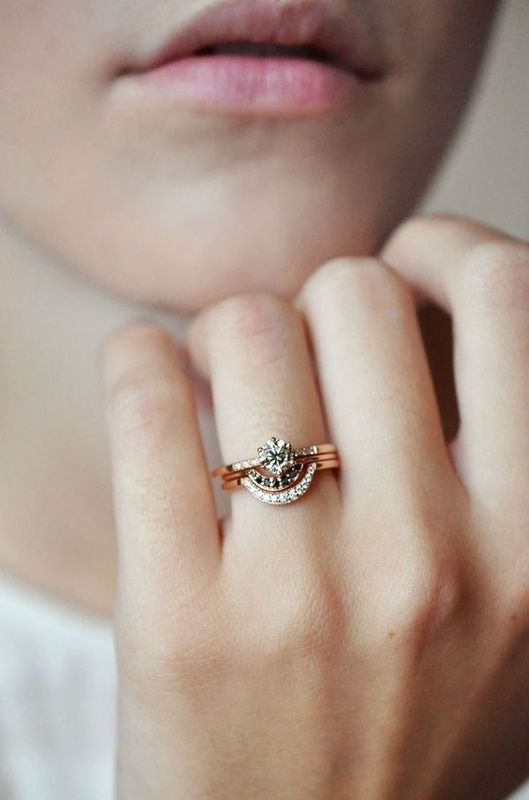 A good option if you’re working to a short time scale (marrying this summer for example) and not investing in the help of an outside wedding planner. Generally most things will be included from set menus to pick from, table layouts to view, furniture and fittings all included (even if they might not all be to your taste) and some in-house support to help you pull things together. If you don’t put effort into personalising your hotel wedding it can become a bit standard and production-line. You can’t that often have complete exclusivity of your venue unless the hotel is very small and you are taking all bedrooms. You would typically be fixed to the hotels in-house catering (this could be very good however) and you will likely need to buy their alcohol at marked up prices or pay corkage. At the other end of the scale, here you have a blank canvas. You’re creating your venue from scratch and building it quite literally from the ground up. This is a fantastic option if you have really strong ideas about how you want things to look and/or have the budget to create multiple areas and zones. You have lots of flexibility to use the suppliers you want to achieve the look and feel you’re going for. You are more likely to be able to bring in a caterer of your choice and buy your drinks at cost price. 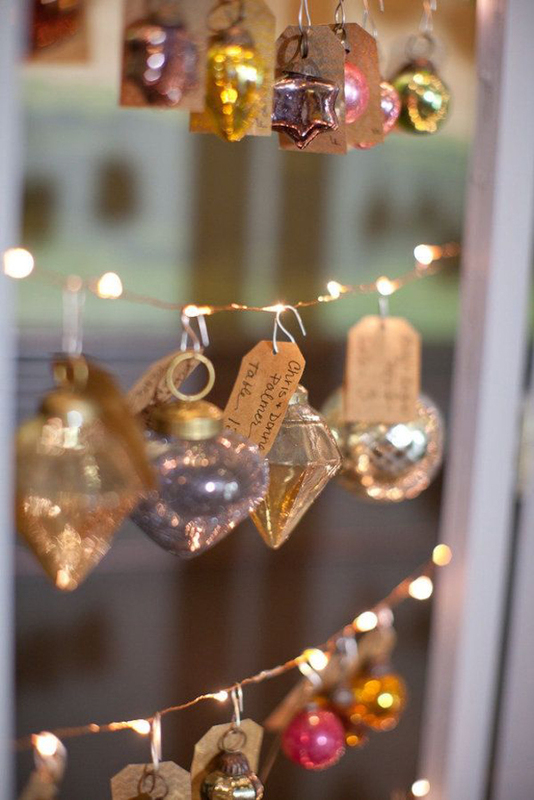 You usually have more time for styling and set up with a marquee build which might be ready for styling/design by the day before, rather than in a hotel venue where you will only have access from a few hours before the wedding. This isn’t for the faint-hearted. You have to think about things like power and generators, linings, lighting, toilets, kitchens, furniture for all areas, pathways, heating and more. Your décor and styling almost always needs to be “fuller” and more considered than in a venue which has a certain décor and style of its own. A marquee wedding is almost always a more costly affair than a venue-based one. Weather has to be considered very carefully here – whether it’s lots of matting in wet weather or air-cooling in summer, heaters in cooler months, it’s definitely one where the elements matter and they can work against you. This might well be your middle ground, certainly if you favour a rustic style. 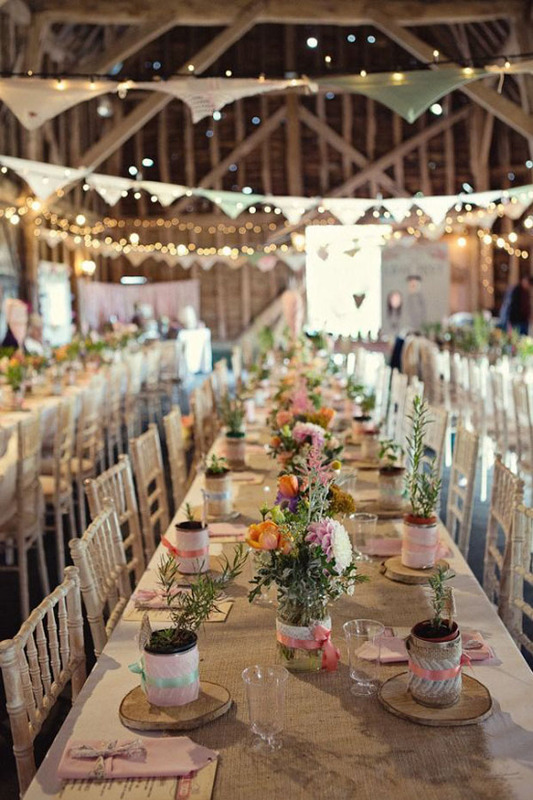 Many barns are run very well and host a lot of weddings either with an in-house or regular experienced caterer so you can get some guidance. There is generally a beautiful characterful backdrop with stone walls and rafters which are there for as much décor and styling as your heart desires. Barns are usually quite cost-effective due to their rural, farm based location and rustic interiors. One thing that usually is a constant with barns is that you only have one main area for everything taking place ie. One big space. It can work, but things like turnaround times from ceremony to dinner and dinner to party need to be carefully thought through and planned before you sign on the dotted line. Sometimes as they are big lofty locations, they can be a bit chilly in the cooler months! 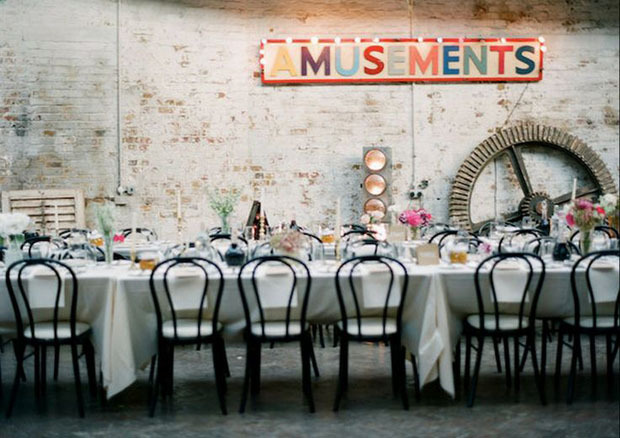 We’re regularly found working our magic in these kind of venues which we love. 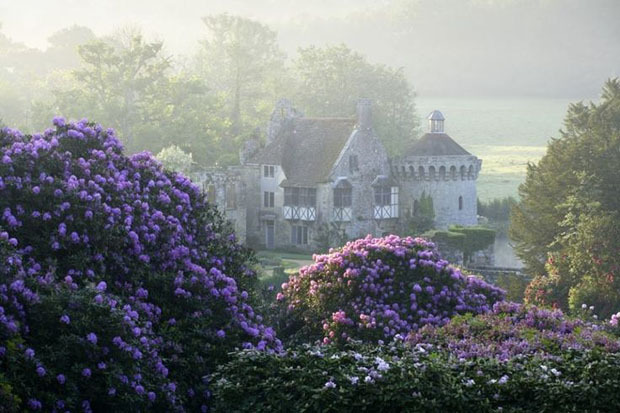 They offer an incredible fairytale uniqueness and provide beautiful classic historical backdrops that are unparalleled. You usually get exclusive use and complete privacy as well as a luxury experience. These kind of venues do often have more rules and restrictions than most however; their guardians have to ensure that they are here for future generations to enjoy just as we are enjoying them. Things like restrictions on the use of confetti, red wine and substances, choice of approved suppliers are all commonplace. Usually there are quite specific restrictions on timings for your wedding as many of these kind of venues are open to the public as museums on the day of your wedding, before it starts, so sometimes a late start is only possible with much more of a black-tie feel. Here it’s all about the magic of a special natural and wild location. 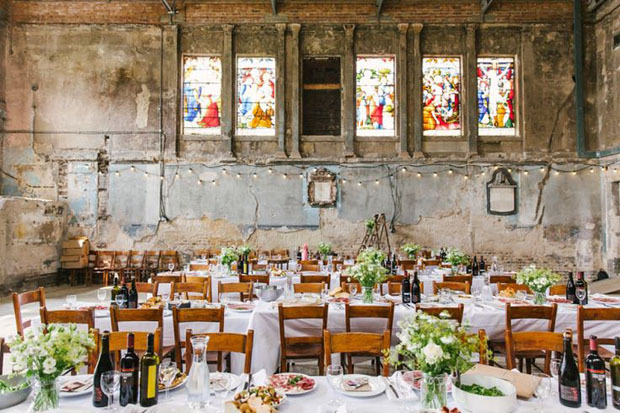 A truly unique and special location that you can dress as you want and use for a wedding with a laid-back and really fun vibe. 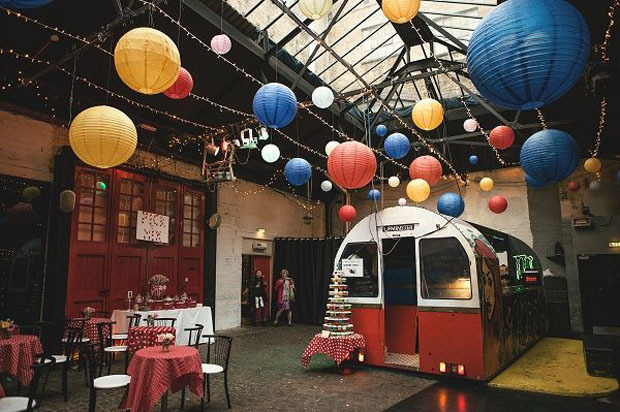 Often a cost-effective option as you might not have to pay much venue hire and you can bring in suppliers you like and suit your taste – the style tends to suit more relaxed festival-style catering (gorgeous vintage food vans/vehicles) and décor which is often labour-intensive but good value. Don’t underestimate the man/woman power needed to make your woodland space how you’d like. You’re building your own venue and you’ll need a lot of help from a reliable team to get things the way you want it – lots of lifting, lugging, hanging and manual work before you get to the pretty! Good old blighty is not known for its guarantee of sunshine and dry weather. 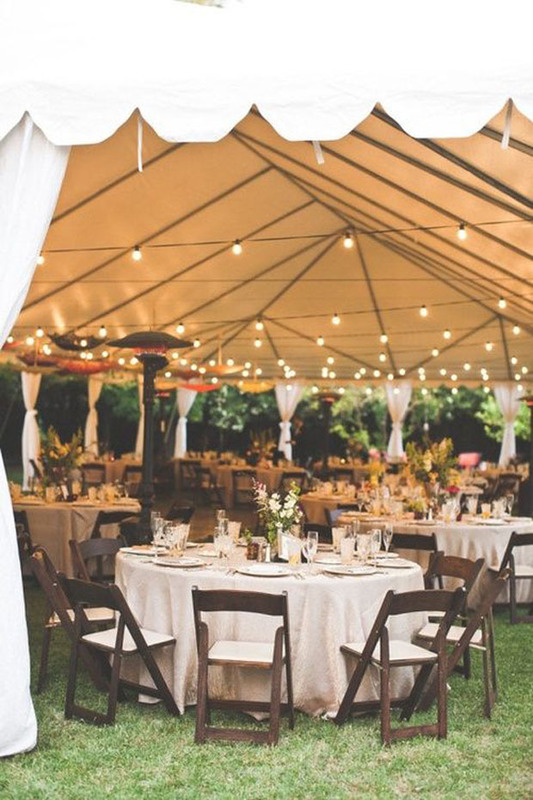 If you’re planning on keeping your guests for several hours in one location, you need to have back up and good cover in case of rain or really cold weather, even if that’s not the way you hope it’ll be. You need to really think through the logistics of things like parking, access to the woodland, lighting, power source for food etc and how people are going to reach it to make sure it really works for your guest list size. Whatever you choose, my advice is that is has to feel right for the both of you. It’s not about going for the most expensive option or the option that you feel is most “weddingy”. The very best weddings I see are those where the couple have gone with what screams “them” and choosing the setting is vital to getting that right, it sets the whole tone for the day and is often very key to selecting other elements of the day such as flowers which work within the context, entertainment, décor and more. 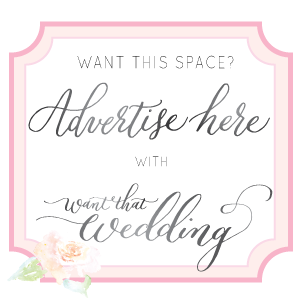 What kind of venue do you have in mind? And why? I’d love to know. 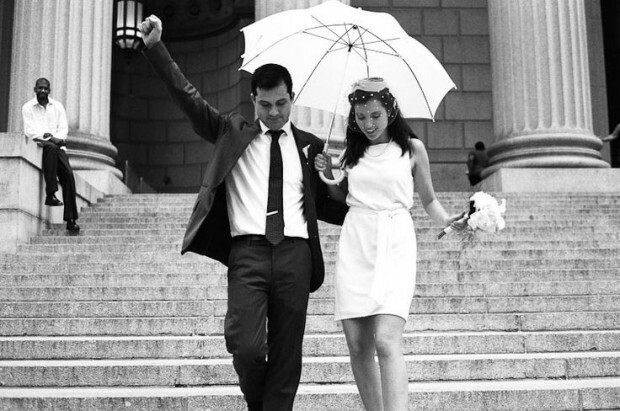 Thank you so much Kelly for such an invaluable post on finding your wedding venue! 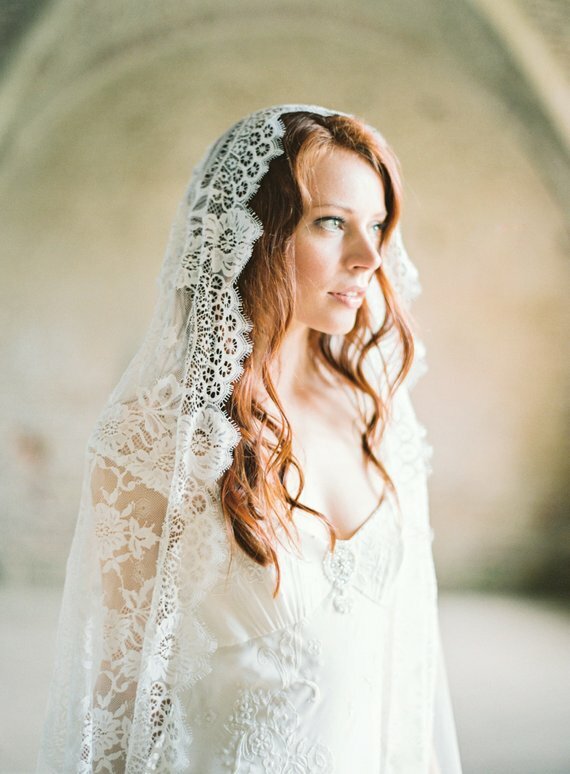 Brides-to-be, I really hope you’ve found this post useful.. 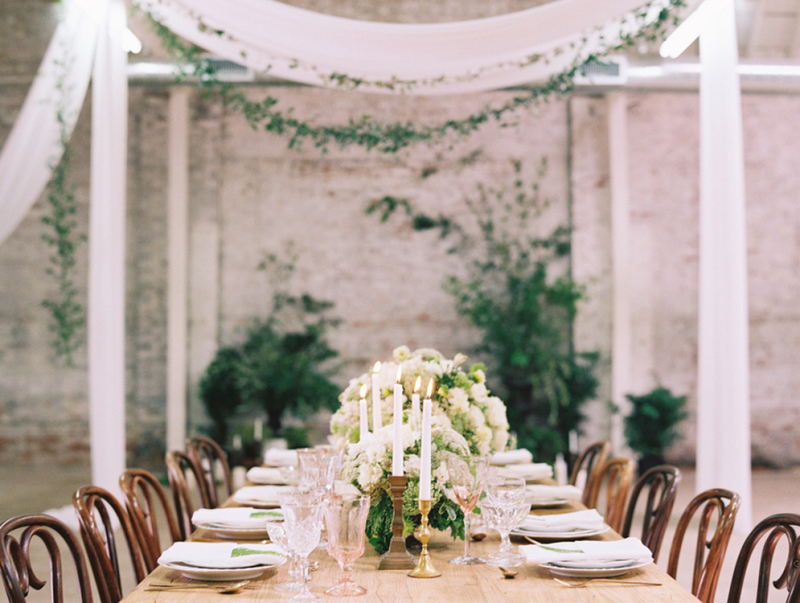 The Bespoke Wedding Company was founded in 2003 by Kelly Chandler. An expert in project management and international event management, Kelly used her previous experience in the conference and incentive travel market to create a wedding planning company that can manage everything from intimate country weddings to grand city wedding backdrops, to those with logistically complex marquees or those with an international flavour, incorporating several customs and religions. 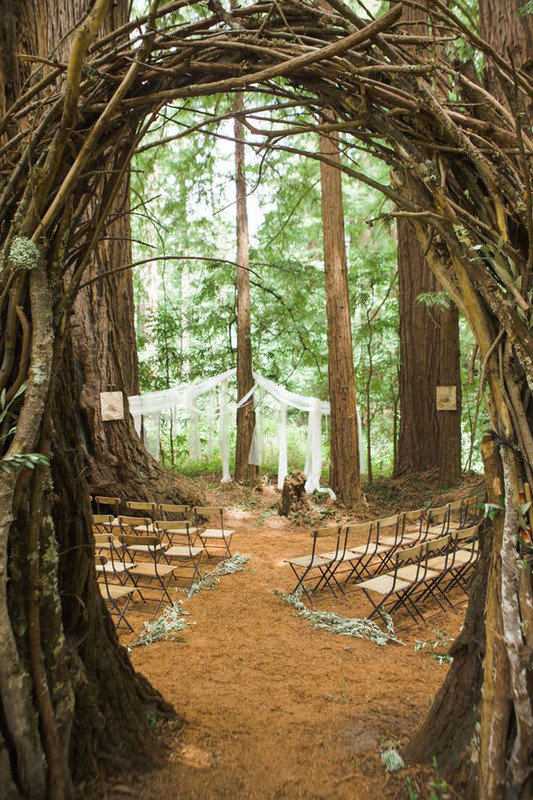 Personally I’m not a big fan of a wedding outside but that wedding in the woods looks wonderful. 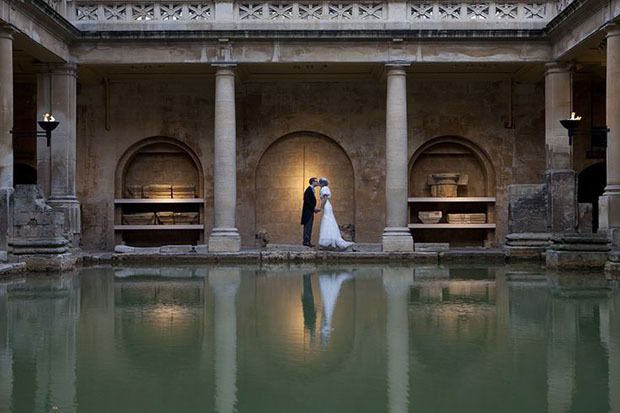 Most of all a photogenic wedding venue is the basis to great photography!